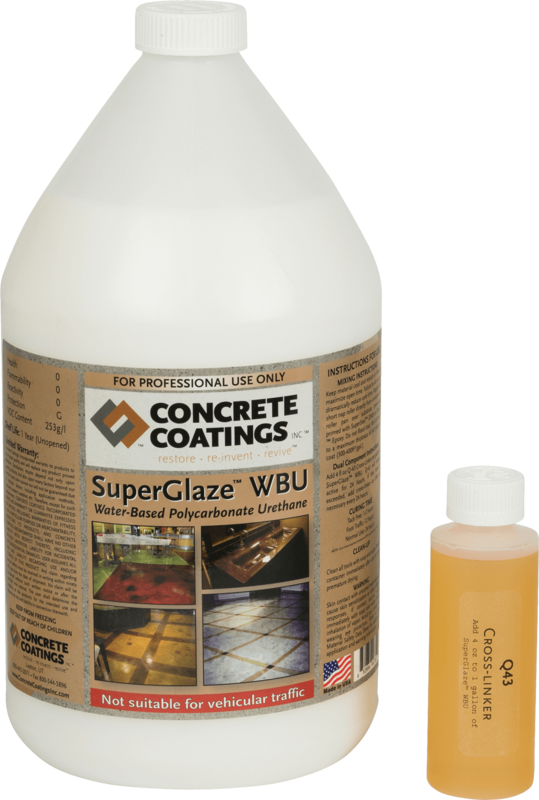 Concrete Coatings, Inc. SuperGlaze™ WBU can be used as a single-component water-based urethane for greater durability on non-vehicular applications. 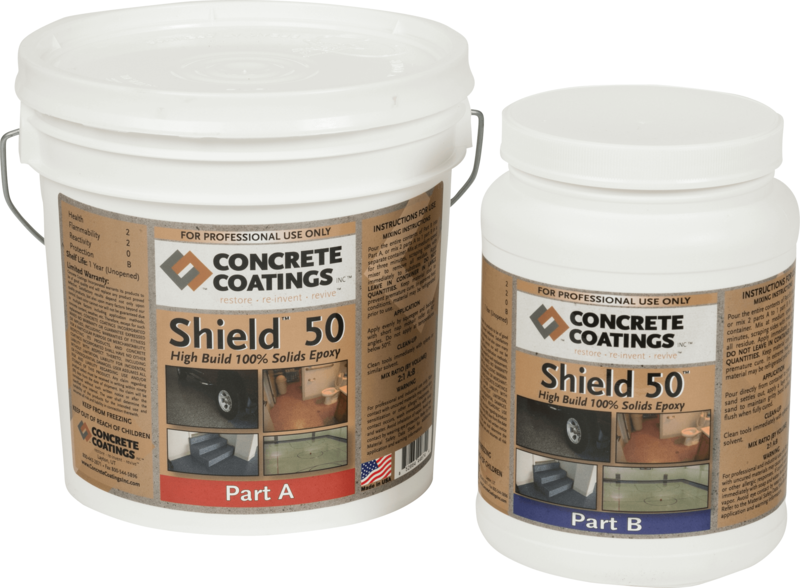 This sealer has low VOC content and quick drying properties with low odor. SuperGlaze™ WBU requires a primer prior to application. 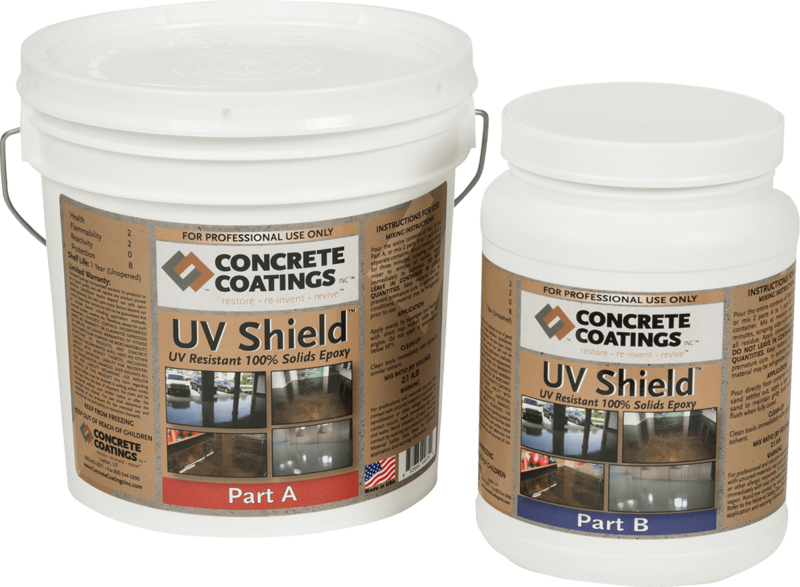 SuperSeal™ 20WB, Shield 50™ or UV Shield™ may be used as a primer. 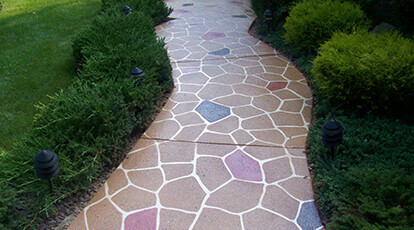 For added strength and durability use SuperGlaze™ WBU with Q43 Cross-linker.